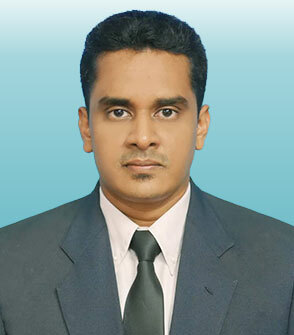 Dr. Charles Gnanaraj has earned his Ph.D in Biotechnology from Universiti Malaysia Sabah, Malaysia. During his doctoral studies, he was awarded the MyBrain15-MyPhD scholarship by the Malaysian Ministry of Higher Education. He is currently attached to Universiti Tunku Abdul Rahman, Malaysia as a post-doctoral research fellow at the Department of Chemical Sciences, Faculty of Science. He is experienced in designing and conducting pharmacological, biochemical & toxicological experiments for targeted pre-clinical drug trials using animal models with specified enzymes, biomarkers, and pathological alterations. His research works have been published in peer-reviewed indexed journals of international repute. Dr. Charles has great interest in pursuing projects in the field of natural product biochemistry specializing in plant based alternative medicine. Specific interest is shown on therapeutic potentials of plant-derived pure compounds with antioxidant properties through different pathways involved on various ailments including hepatotoxicity, diabetes, ulcerative colitis, neuro-inflammation, lung inflammation, atherosclerosis, colon cancer, breast cancer, nephrotoxicity, and other pre-clinical pharmacological, biochemical & toxicological experiments.